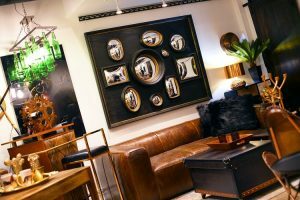 The unique KARE furniture brand will look at expanding in Canada, and perhaps into the United States, after recently completing renovations to a flagship Toronto showroom which was the Munich-based retailer’s first location in North America. Edilka Anderson, owner of KARE Toronto on Queen Street West, said the store has been newly-renovated with a stunning assortment of unique and beautifully-crafted accessories, lighting, furniture, and textiles to suit any home and style. Anderson bought the 2,200-square-foot showroom at 553 Queen Street West in Toronto in May from the original owners who opened in the summer of 2017. The showroom was closed for about two weeks during the recent renovations. KARE was founded in 1981 in Munich by two designers, Jurgen Reiter and Peter Schonhofen. Over the years, it has become an international brand with a presence in more than 50 countries and more than 100 stores worldwide, mainly in Europe. 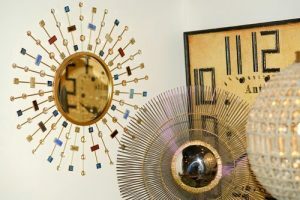 Customers receive a design and style magazine that showcases some of the new pieces the company gets in and twice a year KARE has a new collection. “It’s always innovating and doing new things. We also have a couture book. It’s basically a coffee table book and it’s done every year. It’s a beautiful book and it has all of our items in it. It’s really well done. 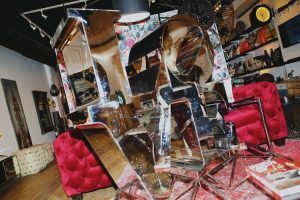 We use those a lot in working with our designers so they can have marketing material and things to offer their clients so that they can see,” said Anderson. The Toronto KARE location is the only one currently in North America but Anderson said the company definitely wants to expand the brand in the future. “With us being the only store in North America currently, everybody’s watching us. All eyes are on us. I think it’s a good opportunity for us to have something a little bit different. 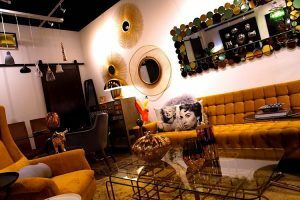 This brand and this store is not like any other store – furniture store – that you walk into. You definitely get variety and something completely unique,” said Anderson.